Recently I discussed tea biscuits, but today I wanted to delve into another topic that is popular among Afternoon Tea: Cake! As much as biscuits are enjoyed during a nice cup of tea, sometimes a nice little cake or tart is fancied as something a little different. Battenburg/Battenberg Cake: However you spell it, it’s still a very beautiful cake to look at. The origins of the cake are relatively unknown, but some believe the first Battenberg was made in 1884 to celebrate the marriage of Prince Louis of Battenberg and Princess Victoria, who was Queen Victoria’s granddaughter. The cake is made with two pieces of sponge cake, one yellow and one pink (or whatever color you like. It can be any color), which are cut in half and made into a checkerboard pattern. Then, it’s usually held together with apricot jam and rolled into a square with marzipan. Once you try one, you’ll be addicted! Bakewell Tart: Bakewell tarts originated from the town of Bakewell located in the British county of Derbyshire right in the Peak District. The tart consists of a shortcrust pastry and spread with strawberry or raspberry jam (Again, any flavor you like works as well! My favorite jam is blackcurrant). The middle consists of ground almonds, sugar, eggs, and butter. This is known as a frangipane. The top is usually topped with some sliced almonds. 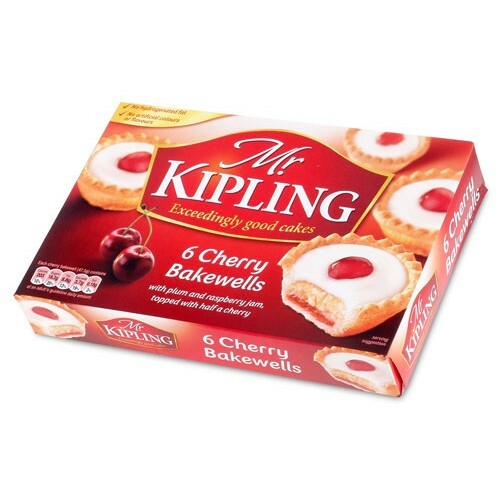 Cherry Bakewell: Cherry bakewells are just like the regular bakewell only the top is covered with a white icing and a glace cherry. Sometimes cherry or plum jam is used for the bottom of this one. 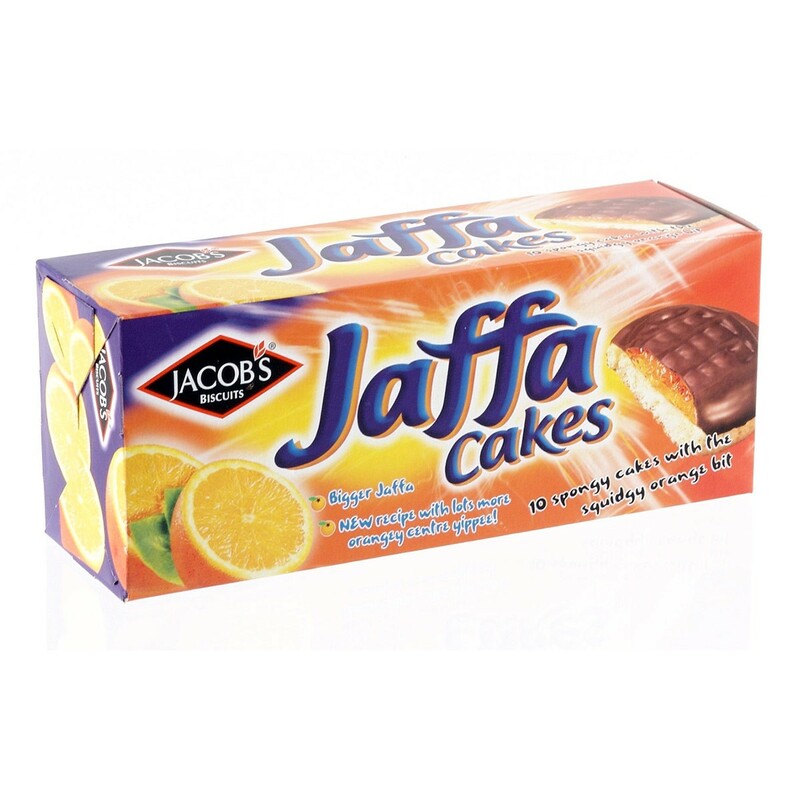 Jaffa Cake: There is much debate on this one but I believe it’s a cookie and a cake as it is called a Jaffa Cake. Where did the name Jaffa come from? The orange jam inside is derived from the Jaffa orange! It’s a little cake with orange jam covered in chocolate. They’re usually made by McVitie’s who sell millions of these a year! Victoria Sponge: One of the most popular cakes for tea and goes with just about every kind of tea! Named after Queen Victoria, this cake is two sponge cakes sandwiched betw een whipped cream and a strawberry jam, then sprinkled with a dusting of powdered sugar. Always the best to have at Afternoon Tea! Custard Tart: These go way back in the history of Great Britain, as early as the 1300s during the coronation of Henry IV and were called “doucettys”. These are made with shortcrust pastry, and usually with eggs, custard, sugar, etc. Everyone has a different recipe! Carrot Cake: I believe both sides of the pond can relate to this one since it’s popular both in the US and in the UK! Nobody’s exactly sure where the carrot cake came from but it is believed to have evolved from the Medieval carrot pudding. How the carrot cake came to be was most likely during World War 2 when sweeteners had to be rationed so carrots were used as a sugar substitute. The carrot cake usually has shredded carrots, nuts, cinnamon, sometimes raisins and frosted with a heavenly cream cheese icing! One of my favorite cakes to munch on! Anything missing from the list? Add to the discussion! What are some of your favorite cakes and tarts to have with tea?